Quaint and charming, the Atlantic Ocean lighthouse is a symbol of hope and light. 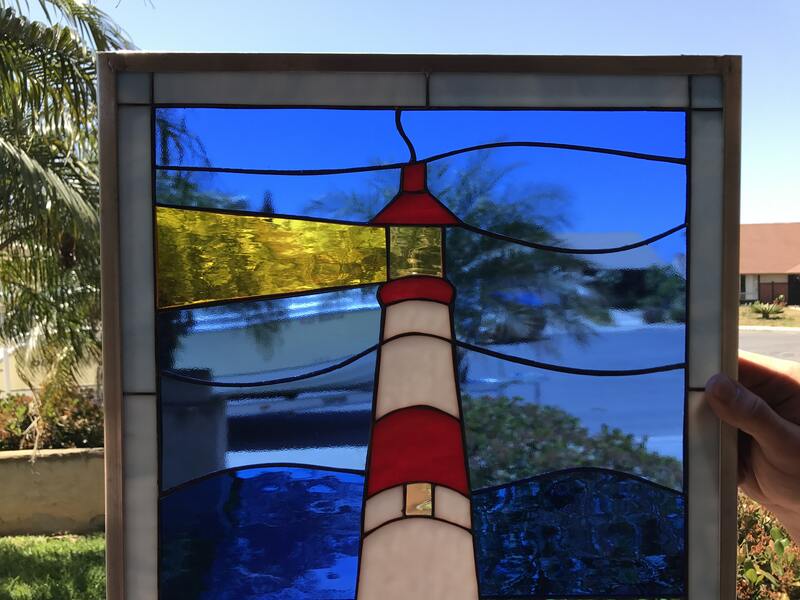 Our leaded stained glass window panel creates the perfect reflection of home with this lighthouse, beckoning through the night to lead you safely home. 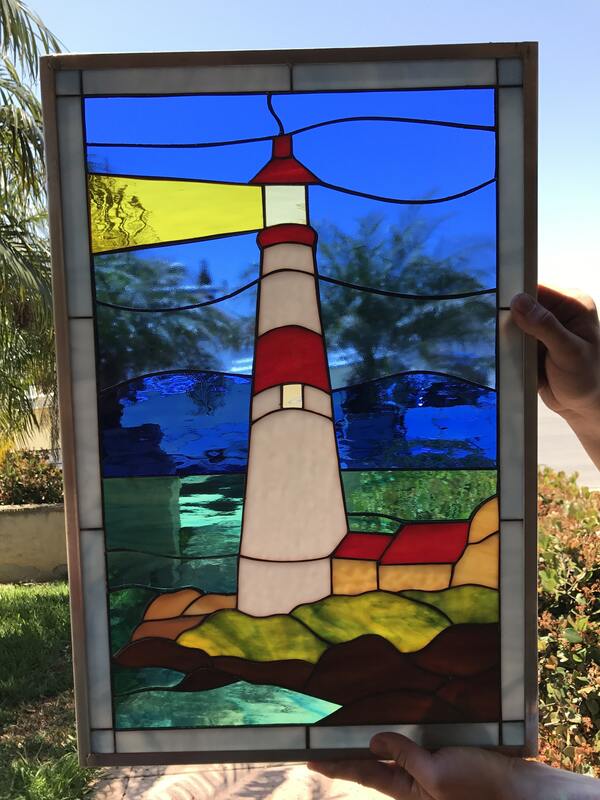 It’s a sublime nautical touch to add to your favorite rooms and bring more hope and positivity into your home.